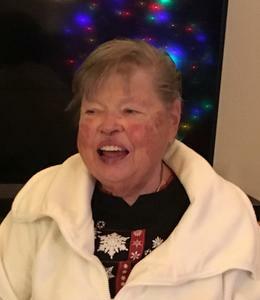 Marilyn (Booth) Sinclair of Elk Rapids died suddenly, at her home, on January 25, 2019, at the age of 74. Marilyn graduated from Elk Rapids High School in 1962, then went on to enjoy her career as a Federal Secretary for the Military. After retiring, she and her husband Guy, were happy to call Elk Rapids home, again. She currently served as a Commissioner on the Board of Noble Pines. She is survived by her loving Son, his Wife, 2 Grandsons, 2 Great-Grandsons, 1 Brother and 7 Sisters. She was predeceased by her Father, Mother, Husband and Brother. Marilyn was a fun-loving woman who enjoyed beautiful things – flowers, crystal, lace and bling. She had a knack for decorating and made every home she lived in, a beautiful space where everyone felt welcomed. She loved spending time with friends and family and cherished her relationship with her son, whom she loved with all of her heart and soul. Private family services will be held. Please visit www.lifestorytc.com to sign the guestbook and share your thoughts and memories with the family. The family chose Life Story Funeral Home, Traverse City.